It seems like everyone these days is talking about the internet of things and how connected devices and wearables have and will continue to impact our lives. From wrist watches to smart appliances, we can already see this trend come to fruition. As mentioned, we are at a turning point in terms of affordability and availability of IIoT. This will be a continuous driving factor. Where companies previously may have excluded IIoT technologies from their toolset because connectivity wasn’t up to par or the components were too expensive, the months ahead will witness a surge in facilities making the move to the cloud as prices drop and capabilities increase. More devices will be set up for edge processing, with revised IT policies to allow for fog computing and new SaaS offerings to bring about quick and accurate data-driven decisions. In many facilities today, there remains a gap between operational efficiencies and decisions at the top. This gap will begin to narrow as machine-to-machine communication via sensors provides the bridge between legacy equipment and modern methods of data analysis and interaction. This is where we will see the biggest change as real-time and historical machine data will become the basis for decisions, rather than simply past experience or gut instinct. Along these same lines, the thinking around on-premises versus in-the-cloud data processing will need to change. No longer can facilities sit idly by, slowly developing their policies around cloud adoption as the world passes them by. Packaged software and on-premises systems, as opposed to cloud-based SaaS, will become increasingly obsolete as the scale of data grows beyond their on-premises capabilities. Instead, the future lies in a mix of cloud and fog computing, where some computing happens at the edge on devices in the field and some occurs in the cloud. Initial data will be processed in the field, anomalies and change data will be sent to the cloud for analysis, and on-site systems will provide continuous insight on system health to highlight potential areas for improvement. By virtue of simply being a new technology, IIoT presents a new attack surface, but it’s not that IIoT is inherently riskier. 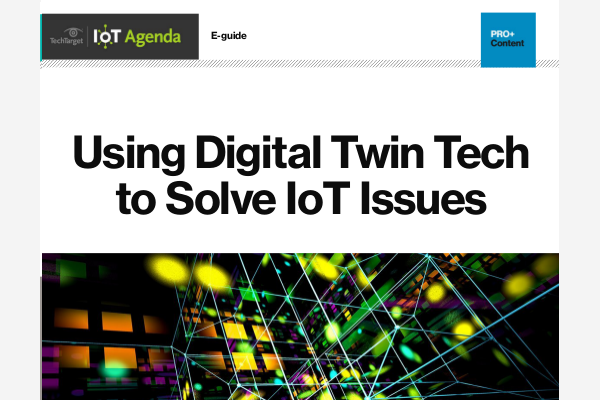 Instead, the problem exists in the fact that IIoT presents an entirely different type of risk that requires a new way of thinking and awareness to address. Last year, witnessed a raise in creative cyberattacks and our best protection for the future is to join forces to stop cybercrimes. With cloud computing, you get the best line of defense as your application is always up to date. Cybersecurity experts that are constantly searching for vulnerabilities, and fixing them instantly is a part of the best practices used by third-party cloud applications. Both sides — the developers of these new IIoT technologies and those facilities putting them to use — will need to change their thinking to examine security protocols around sensor-to-sensor communication, sensor-to-gateway communication, and system updates and maintenance. Regardless of where data is stored, it will need to be treated in a secure and private manner. The distinction between flashy buzzwords and discussions around making a real change in the market is in truly understanding the details. Talking Industry 4.0 is important, but what does it really mean to move your mechanical data to the cloud? Industrial IoT is nice to talk about, but what are the actual security implications? We did a lot of talking in the previous months, but now we are primed to implement these changes to make good on the promise of the connected industry. At the end of the day, nobody knows a facility better than the people who spend hours every day working to ensure the health of their own machines. The main challenge will be to navigate this fast-moving technology landscape to choose the vendors that are right for your equipment. This year will be one of uncovering new ground, a necessary milestone in ushering factories and facilities into the smart future. Having built one and a half consumer facing IoT platforms, I don't see how the IIoT architectures that I've seen can survive. A significant difference between IIoT and CIoT is that the former is observed - they typical model is an improvement over existing plant and production monitoring and control, which has a support staff; and the latter is unobserved - it is important to know the state of all sensors and actuators at all times to understand what decisions/actions are currently invalid. A sort of Garbage in, Garbage out redux. As CIoT builds scale - and they are generally much larger than IIoT systems, the management economies arising from solving the 'unobserved' aspect will make CIoT much more cost effective than IIoT.